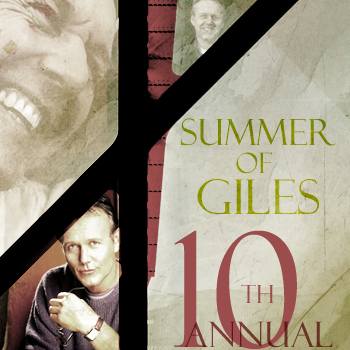 It's the 10th year it's been going and it's time again for Summer Of Giles! We hope you'll come and celebrate the summer with us, and bring along some great Anthony Stewart Head to do so! Yes, you read that right, it's summer again (or becoming summer in this hemisphere) and it's time to dust your favorite stories of Giles off, pull your favorite media of Giles out, get your favorite music of Giles playing, and pick a day (or two).